The Ascenso MX is the second professional level of the Mexican football league system. The champion of the competition is promoted to Liga MX (top-flight division). The bottom team gets relegated to Liga Premier (the third tier). It is currently sponsored by BBVA through its Mexican subsidiary BBVA Bancomer, and thus officially known as Ascenso BBVA Bancomer. Formerly known as Primera División A (First Division A) the league changed its name and competition format in 2009 to Liga de Ascenso. It was rebranded as Ascenso MX in 2012. The main changes are that clubs now do not need a FMF certification to get promoted and that the competition does not use group stages. In 1994, in order to create a premier league, the Mexican Football Federation decided to upgrade the Second Division to "Primera División A" (First Division A) to bring closer together the level of play in the two tiers, Primera and Primera A. The project was under the direction of José Antonio García Rodríguez, president of the top-tier Primera Division at the time. He envisioned the new division to be joined by the best teams of the Segunda and include teams from the United States (Los Angeles Salsa and San Jose Black Hawks expressed desire to join). Upon review, FIFA did not authorize such integration. As a result, the new league was created instead with the best Second Division teams. The 1994-1995 season began with 15 teams: Acapulco, Atlético Celaya, Atlético San Francisco, Atlético Yucatán, Caimanes de Tabasco, Coras de Tepic, Gallos de Aguascalientes, Halcones de Querétaro, Inter Tijuana, Irapuato, Reboceros de La Piedad, Marte, Pachuca, San Luis, and Zacatepec. Cobras de Ciudad Juárez, which would have been the sixteenth team, declined to participate due to financial problems. During the 2006 tournament, the number of teams increased from 20 to 24, forming two groups, A and B, divided by geographical areas. From the 2011–2016 seasons, Ascenso MX did not relegate a team to the Segunda División de México Liga Premier de Ascenso. However, on June 6, 2016, the president of the division announced a return to relegation to the Segunda División de México Liga Premier de Ascenso for the 2016–17 season after a five-year absence. Following this change, Loros UdeC and Murciélagos F.C. were relegated in the next two seasons. The following 15 clubs will compete in Ascenso MX during the 2018–19 season. ^ All match times are UTC−06:00. BBVA Bancomer was named the league's official sponsor in 2015. The league's current sponsor is BBVA Bancomer, thus making the league's official name Ascenso BBVA Bancomer. The official match ball is manufactured by Voit. 1977–78: Deportivo Neza is bought Laguna and took its spot. 1999–00: Irapuato gained automatic promotion as they won both tournaments. 2009-10: Necaxa gained automatic promotion as they won both tournaments. 2013–14: Zacatepec bought Cruz Azul Hidalgo's spot in Ascenso MX. 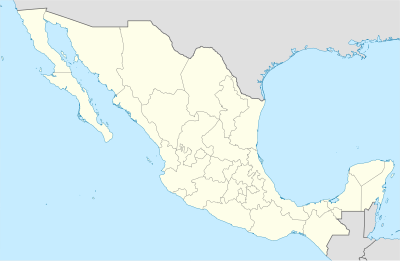 2017–18: Tapachula were not certified to be promoted to Liga MX. ^ "Nace la Liga de Ascenso". www.femexfut.org.mx. 2009-06-22. Archived from the original on 2011-07-16. Retrieved 2009-06-22. ^ "Nacen los Guerreros de Oaxaca :: Deportes". televisadeportes.esmas.com. 1: One Canadian club plays in the United States second league. This page was last edited on 26 April 2019, at 06:05 (UTC).